For more than 13 years, BrickHouse Security has been a trusted name in pharmacy security, keeping valuable pharmaceuticals and company assets secure. The pharmaceutical company is an ongoing target of theft, whether employee theft, organized retail crime, or smash-and-grab operations. With valuable product that has easy turnaround on the street, medication is an at-risk product at every step of the supply chain, from distributor to store shelf. At BrickHouse Security, we specialize in focused solutions that can be easily implemented without the need for expert installers. Custom GPS tracking, professional security camera systems, covert cameras, in-car cameras, and more, all ensure that valuable product makes it to customers safely. Because of the high street value of prescription drugs, they are heavily targeted by organized retail crime syndicates. By deploying focused covert recording devices on vulnerable areas and security system blind spots within a pharmacy, you're able to capture vital evidence of a theft, even if the perpetrator is an employee. Additionally, BrickHouse Security is on the cutting edge of GPS tracking technology geared towards fighting OTC and smash-and-grab operations. We can build GPS devices into pill bottles that can be used to track criminals in real time in the event of a theft. Many pharmacies have used bait bottles to bring criminals to justice. 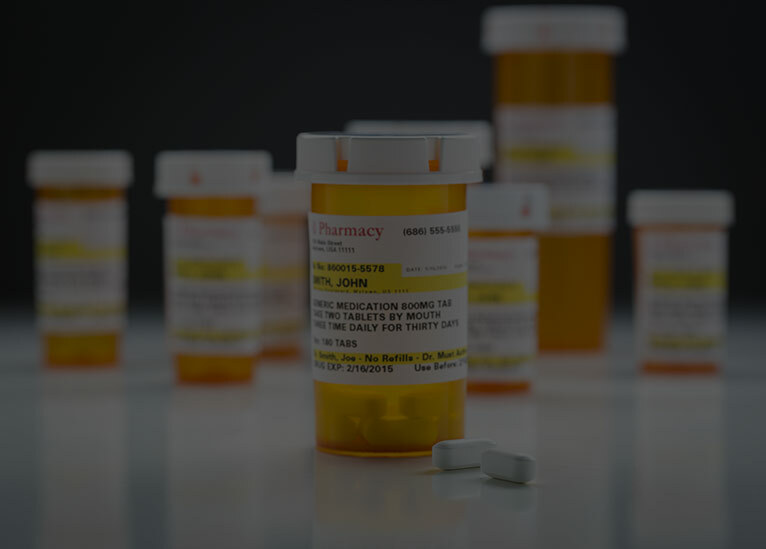 While pill bottle trackers help cut down on theft once medications are in the pharmacy, this sensitive product is vulnerable at every point in its delivery. GPS asset trackers can help manage shipments from distributor to pharmacy to ensure that no expensive medication is hijacked in transit. Small, battery-powered trackers can be hidden in medication packaging to monitor complete shipments in real-time; helping curb cargo theft. Additionally, hardwired vehicle trackers give a security manager live updates on a delivery's location to ensure that drivers aren't making unnecessary stops that result in loss of product. Protect every step of the supply chain with GPS. Pharmacies come in many shapes and sizes; from small, family-owned shops to large-scale properties, to dedicated sections in a store or medical facility. No matter what space a security manager needs to cover, however, there is a security camera solution that can be deployed to protect employees and customers, as well as sensitive information. BrickHouse Security specializes in DIY camera systems that can be easily implemented without the need for expensive installers. Cover parking structures, entrances and exits, interiors and exteriors and more using cameras from name brands like Sony, Toshiba, Panasonic. Focus cameras on computers and stock rooms to ensure that sensitive patient information isn't compromised and valuable product is secure. Does Your Organization Employ Pharmaceutical Sales Representatives? Ensure safety and efficiency on the road with in-car cameras and GPS trackers. Managing a remote workforce, especially pharmaceutical representatives that carry valuable medications with them, presents unique challenges for a security manager. Not only is there the threat that product can be lost or stolen in transit, but managing driver safety and efficiency is a job in and of itself. Small, battery-powered GPS trackers are a great way to monitor shipments of products, and hardwired trackers provide valuable insights into driver performance. What's more, in-car cameras can give a security manager a visual record of how a driver is behaving behind the wheel; an excellent way to not only ensure safety, but to provide a video document of how medication is being handled at all times.